For every exhilarating moment of business ownership, there are challenges to test your fortitude. 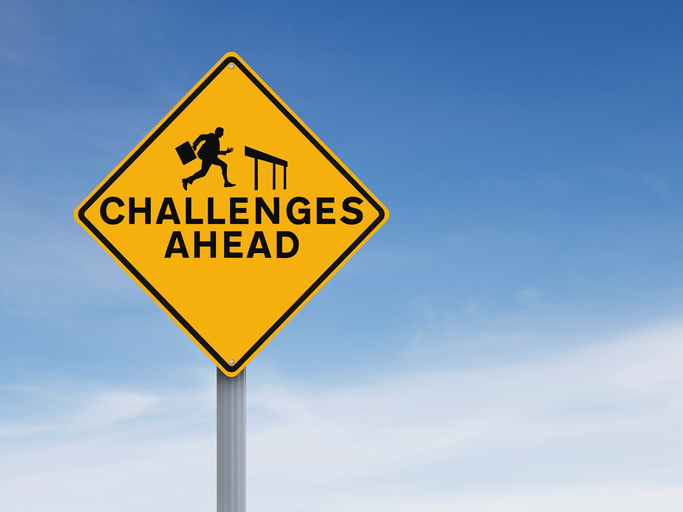 Some of those challenges will put stress on your business — and yourself — more than others, and bouncing back after such a challenge can be crucial in your long-term recovery. Ask any business owner about their fears, and they’ll probably mention something about money. It can be hard to recover from a financial setback, especially if that setback was due to your own mistake in judgement. It’s important to get your finances in line as quickly as possible to protect your business from further challenges. First, communicate with your staff so they know how to answer any inquiries about the business’s finances. Even a simple, innocent question from a customer, like “How’s business this season?” could backfire if an employee isn’t clear on what’s confidential to your team. Meanwhile, if you’re sorting out a financial challenge, you may want your team to know that it’s important for them to patch calls to you or relay messages from your vendors or creditors ASAP. Attention to paperwork can help you regain financial footing, too. Know your credit score and review your personal credit report. Make sure to address any discrepancies so that you can be sure a lender sees correct information if you seek financing in the near future. If your personal and business credit were once intertwined, say as a sole proprietorship, take steps to show you’ve separated them. If you’re looking to boost your personal credit, apply for a secure line of credit to demonstrate on-time payments. Get a business credit card to use only for business purchases, and pay off the balance at the end of each billing period. Apply for credit accounts with your vendors to start building or rebuilding business credit. Office and other supply stores may have credit cards, and their reporting of on-time payments to the credit bureaus can only help your business credit. And if you’re struggling to pay your accounts on time, communicate as early as possible. You don’t need to go into details as to your challenges, but do ask billing departments you owe if you can establish a payment plan or get caught up in some other way. If your setback is a more personal one — maybe a partner has left the business — you’ll want to think through the language you’ll use to talk about that issue. Again, you’ll want to loop in your team, but you also may need to have a conversation with the departing partner or employee about what’s acceptable to share with third parties. For instance, if your partner left the business due to a disagreement you couldn’t resolve, you both might agree to tell inquiring customers or clients that he decided to retire, or to spend more time with his family. There’s no right answer, but it’s an answer you’ll want to guide as a part of your business image. In difficult times for your business, it can be helpful to focus on the positive. Share wins on social media, on your staff bulletin board, or with your mentor. Focusing on what’s going right in your business can help prevent you from getting bogged down by negative events. You may even choose to engage in some savvy public relations work. You may want to send out a press release to address questions regarding a location closure. You might announce a “grand re-opening” after a business interruption. The important task here is to frame your business challenge in a positive light and look toward the future. Owning a small business comes with its share of challenges. But by facing setbacks with grace and optimism, you’ll weather whatever challenges come your way. Meet with a SCORE mentor to talk about what’s going right in your small business — and how you’d like to grow next.